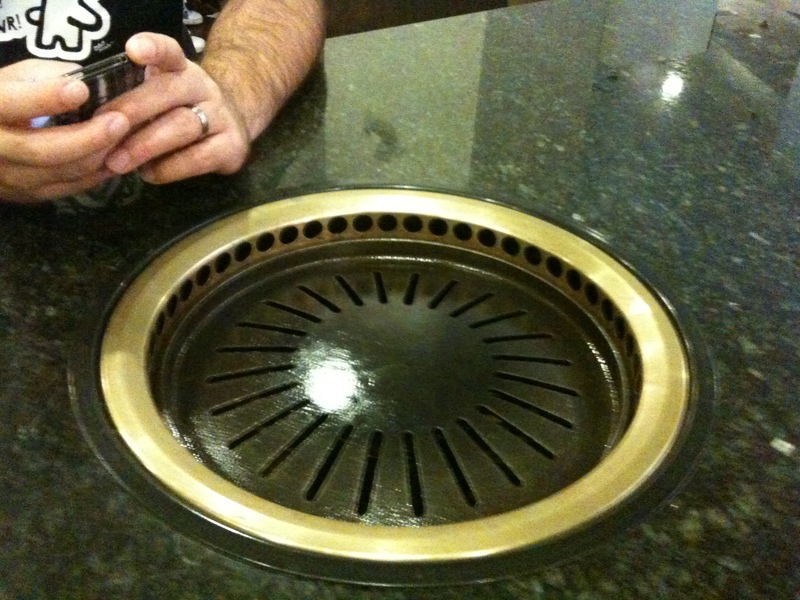 Korean bbq on the west side…finally! 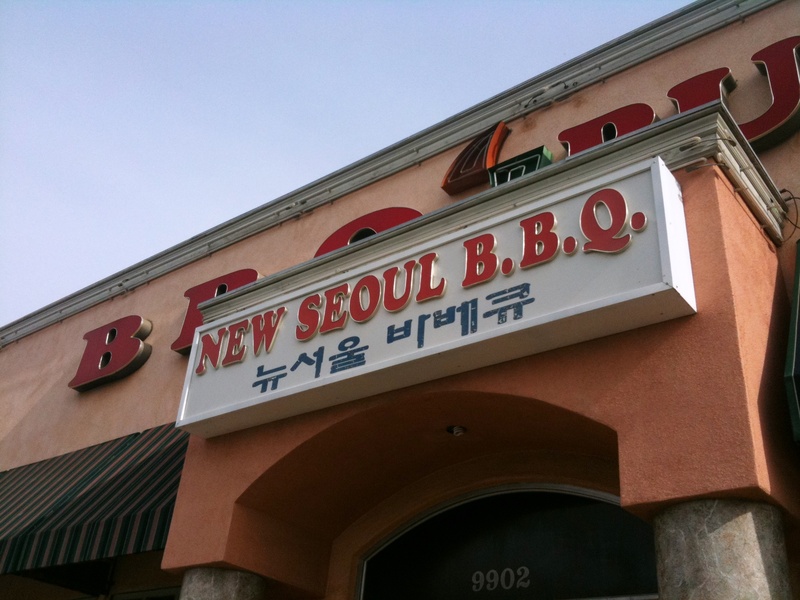 Manna Korean BBQ just opened up a second location in Culver City at the Westfield mall (formally known as Fox Hills Mall). West side, rejoice! I’ve been here twice since it opened and have to say, while the food isn’t any different than the Koreatown location (read my review here), the setting is MUCH better. Instead of sitting in a covered outdoor patio, you’re in a nice space with abstract paper mache art, high ceilings and clubby music. It’s better ventilated so you don’t come out smelling like greasy smoke as much. They still offer up their all-you-can-eat Korean BBQ for $16.99. It’s a great deal if you have a large party or are hungry and want variety. The only catch is that if one person orders it, the whole table has to as well. I recommend going with the Jumulroc (marinated boneless shortrib, the bulgogi – chicken, beef or pork- and the samgyupsal (pork belly). Marinated meats mean more flavor and pork belly…well…it’s like thick cuts of bacon! It’s not the best-tasting Korean BBQ but it’s decent and for the price, awesome. They give a nice variety of banchan. Salad, kimchi, japchae, sliced daikon, rice paper and boiled egg seem to be the common fair. I’ve also been served potato salad and seaweed on different occassions. While the flavors aren’t anything to rave about, the variety and abundance is nice. The menu also offers up some non-bbq items like dumplings, bibimbap and soondubu jigae but I haven’t tried any of this. Based on reviews on Yelp, the soondubu is to be skipped. 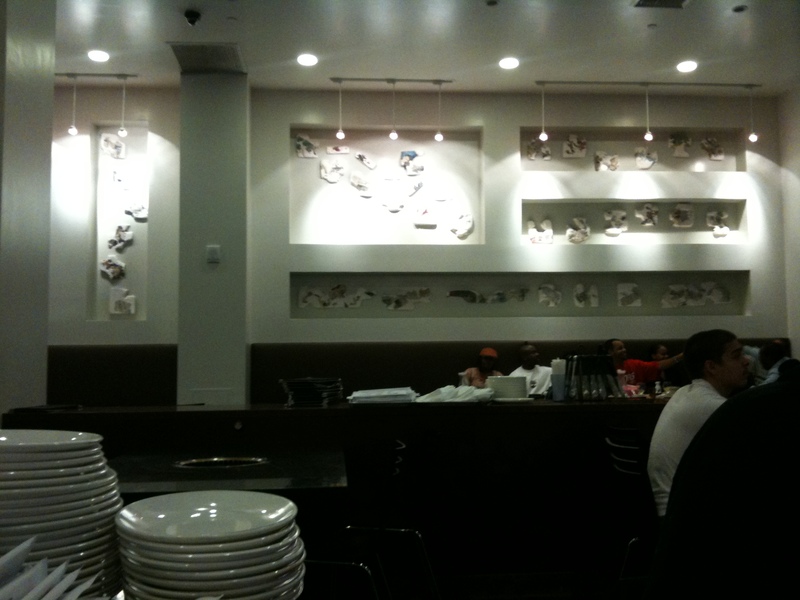 I did see plates of dumplings go by on the last visit and they are quite large. I’ll have to order up a plate next time to see if the taste is as big. The space is large and they can easily accommodate big parties. However, call ahead for reservations if you do bring the gang or go early. I think the service here is also better. They seem more attentive though be prepared to use the call button when they are super busy. Also, it can get quite loud during peak dining hours. The nice thing about being located at a mall is that there is plenty of parking. Also, you can window shop to walk off the full stomach. This location gets 4NOMS because of the nicer space and better service as well as the cost for the quantity and the okay quality of the food. So this past Saturday was the Korean BBQ Festival in Koreatown. The husband and I had plans to meet up with friends there and eat some yummy meat. However, while we were driving down Vermont (in horrendous traffic), our friends called up to say they were already there and that it was…well…not really worth it. We decided that our money would be better spent going to Manna and having our own private Korean BBQ festival. Manna - Where's the beef? Manna is a “restaurant” on the corner of Olympic and Gramercy that boasts a $16.99 all-you-can-eat Korean BBQ that you cook yourself at a grill on your table. The exterior of the building doesn’t really make it obvious this place is a restaurant so it’s easy to miss. When you walk in, you realize that you’re actually still outside; you’re just in a covered patio area. The actual kitchen and restrooms are in the building. Long rows of tables with built-in grills fill the space. It’s not uncommon to have several large groups at the same row of tables. Our group of 6 arrived early (around 6:30pm) enough to not have trouble getting a table. However, Manna gets filled up quickly so reservations are recommended if you have a very large party or want to eat later. 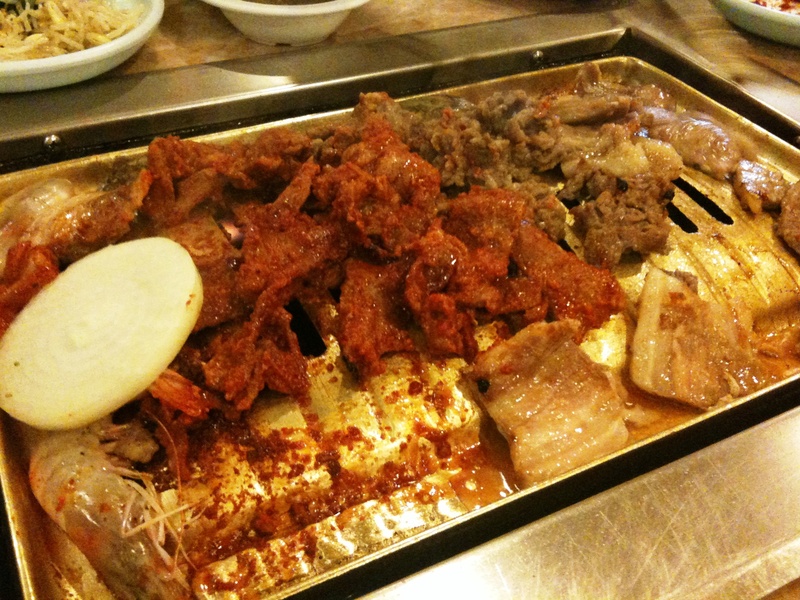 We ordered one of everything for our table – bulgogi, kalbi (boneless), beef brisket, pork belly, BBQ pork and BBQ chicken. K and I also decided to split a large Pineapple Soju. Our drinks and banchan arrived. Apparently, the Soju was intended for four people. It was a rather large carafe. However, it wasn’t terribly strong which was okay with me since I’m a lightweight and I had an extremely empty stomach. If you are a fan of pineapple juice, this is a good drink for you. There was also a Lemon Soju as well. A funny quirk about Manna is that if you want water, you have to ask for it and there are signs posted on the walls stating so. Our banchan consisted of rice paper and daikon wrappers, japchae, shredded daikon kimchee, regular kimchee, spinach cooked in sesame oil, potato salad and a pot of boiled egg (not pictured). There was also a salad that we noticed other tables getting so we asked for some towards the end of the meal. It had a really nice cold ginger dressing on it. The banchan was all decent and flavorful. The kimchee, while strong was not spicy. 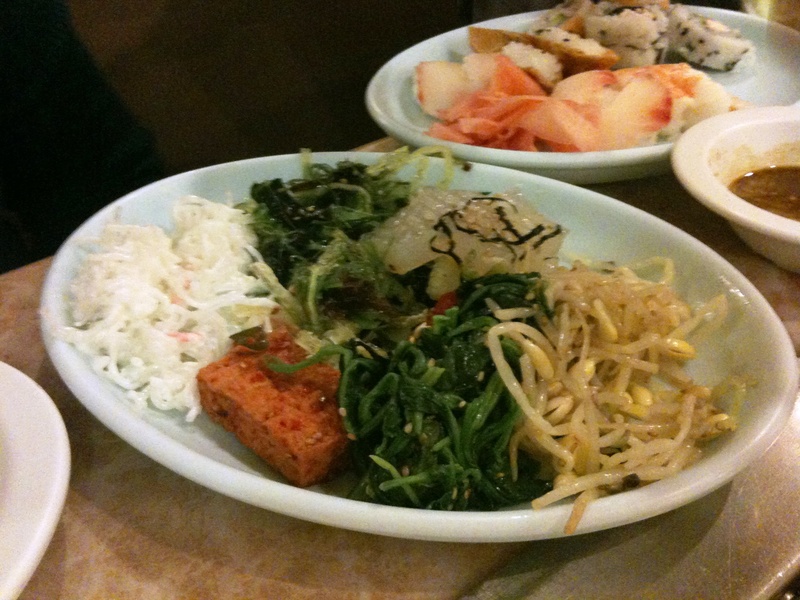 I really enjoyed the spinach; it is one of my favorite banchan dishes and Manna’s version reminded me of my Mom’s. Manna - cart o' meat! Manna - plate o' meat! 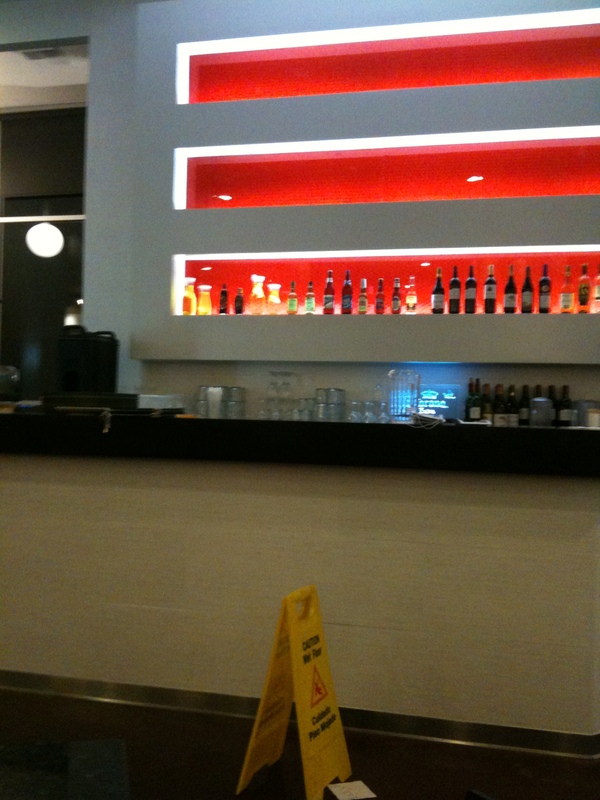 One thing about Manna that I noticed is that they do not serve rice. This allowed us to eat a lot of Korean BBQ, definitely more than $16.99 would have gotten us at a standard Korean BBQ restaurant. When our meat arrived, it was on a cart with other tables’ orders. The waiter immediately dumped the plate of bulgogi on the grill and then handed us a large plate of BBQ chicken and another even larger plate piled with beef brisket, kalbi, BBQ pork and a large slice of pork belly. They also handed us a pair of scissors so we could trim down the larger cuts. Manna is a very “do it yourself” type of restaurant. Hey, for the price, I’m not complaining. The bulgogi was good here though very fatty (hey, more flavor!). The marinade was on the sweeter side, a bit sweeter than I prefer, but still tasty. This was the table’s favorite dish as the boys ordered 2 more plates of the bulgogi after we finished off the first delivery. I think by the time we were done, we had eaten a whole cow or what equated to a whole cow weight-wise. The bbq chicken was good as well, marinated in the same thing as the bulgogi but the sweetness worked better for the chicken. The beef brisket was served plain but we had two dipping sauces – seasoned sesame oil and a soy sauce-based one. I liked to dip the beef in both and then wrap it either in the rice paper or the daikon with a little bit of the spinach. I can’t recall anything about the BBQ pork though I know I ate some. The pork belly was fine though unseasoned as well. They only served one slice of the pork belly. The kalbi was good as well. I am used to the 3-bone short rib cut but here, they had trimmed off the bone so you only had to deal with the meat. All the meat cooked up nice and tender which was a plus. Each table is equipped with a bell that you can ring and the waiters know that you require service. They’re pretty good about responding promptly. For $16.99, Manna’s all-you-can-eat is a bargain and totally worth the trip. You don’t even have to worry about parking in K-town because the restaurant has their own private lot that supplies “free” valet parking (tip at least $2). I give Manna 3 1/2 NOMs.